Starbucks collaborates with Paris fashion label Paul & Joe to bring their iconic cat to Starbuck's signature mugs and tumblers. 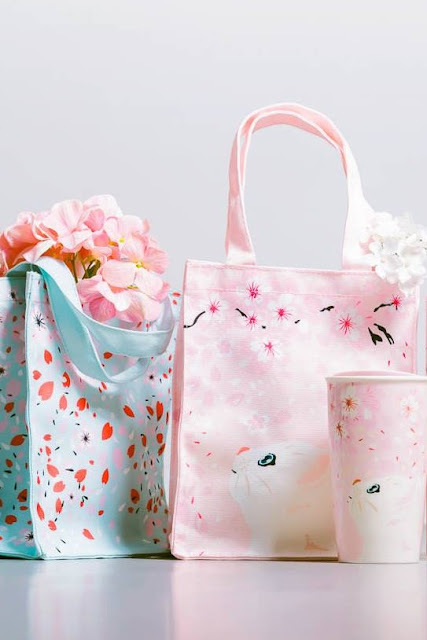 This irresistibly cute collection features soft hues and gentle blooms accompanying the brand’s instantly recognisable pet is such a great touch to the Spring Season! 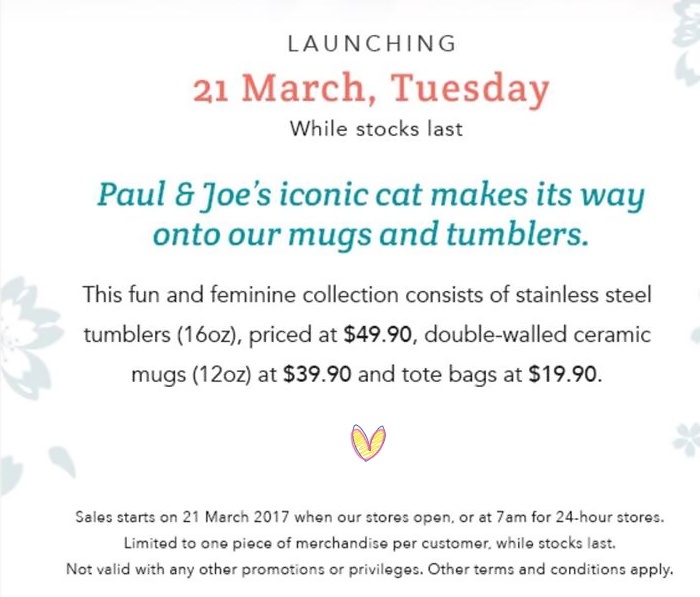 This cheery collection consists of stainless steel tumblers (16oz), priced at $49.90, double-walled ceramic mugs (12oz) at $39.90 and tote bags at $19.90. Even though is summer in Singapore all year long, we can at least get a slice of spring from a sip of their cups. WeekendGoWhere provides the best service for travel consultation and free holiday plannings. You can get best price to all nearby travel packages and local attraction tickets. Since its launch in early 2016, WeekendGoWhere has become the most popular online travel service in Singapore. Our facebook review has sustain its high score at 4.8 out of 5 with hundreds of enthusiastic reviewers. Click here to PM us or call our service hotline (65) 63584231 Now! Genting Dream cruise is open for bookings right now! For sailing periods of December 2017 to March 2018. Send us a message here for more information. Student Woes: Where to study? The Ultimate List of free & payable spaces for you to get your work done (No Starbucks)! Hipster and Old School Hawker Centre in Pasir Ris: What do you think?